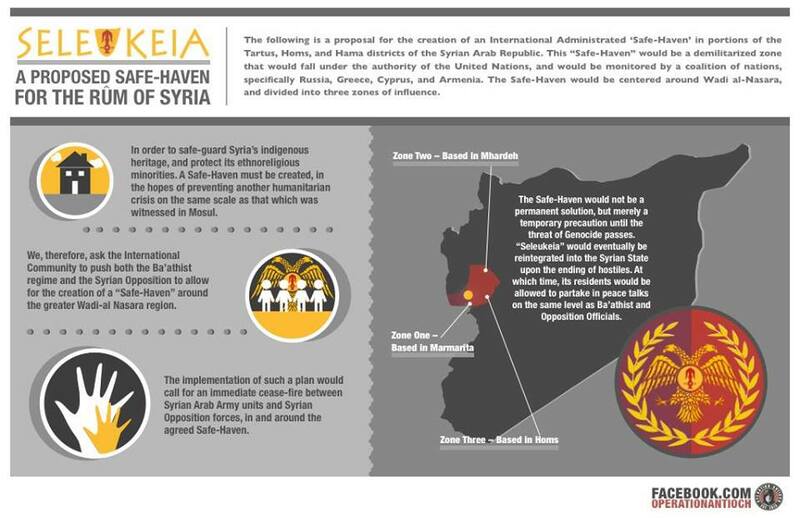 The following is a proposal for the creation of an International Administrated ‘Safe-Haven’ in portions of the Tartus, Homs, and Hama districts of the Syrian Arab Republic. This “Safe-Haven” would be a demilitarized zone that would fall under the authority of the United Nations, and would be monitored by a coalition of nations, specifically Russia, Greece, Cyprus, and Armenia. 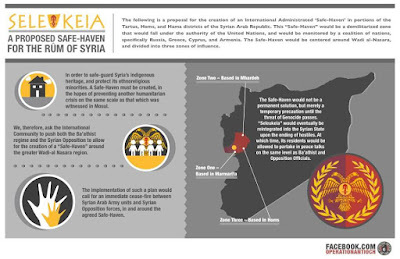 The Safe-Haven would be centered around Wadi al-Nasara, and divided into three zones of influence. Zone One) Russian – based in Marmarita, Zone Two) Greek/Cypriot – based in Mhardeh, and Zone Three) Armenian – based in Homs. The Rûm are an ethnocultural minority of formerly Greek-speaking Greek Orthodox and Melkite Greek Catholic Christians indigenous to Syria. The word Rûm, also transliterated as Roum, is the Arabic corruption of the Greek term “Ρωμιοί", which was the self-designation of Byzantine Greeks during the Byzantine and Ottoman Empires. The Rûm are Syria’s largest Christian minority, with a population believed to be over one million before the start of the war. Since the onset of the War in Syria, the Rûm have found themselves labeled as “Christian Collaborators” of the Ba’athist regime of Bashar al-Assad, and thus targets of Extremists groups. Situated, mostly, within Ba’athist controlled territory. Their situation has been slightly better than that of the Assyrians of Eastern Syria and Iraq. Unfortunately, since the Rûm are targets of the Western-supported “moderate” rebels, and Jihadists like Jabhat al-Nusra, instead of ISIS. Their suffering goes completely ignored by the media. As the conflict has dragged on, entire Rûm villages have been displaced, religious leaders kidnaped, and dozens of Churches and ancient Hellenistic sites damaged or destroyed. In places like Aleppo, reports have circulated that Islamists have even gone as far as to poison alcohol, in order to kill off “Christian Collaborators”. Those who have been lucky have found refuge in Wadi-al Nasara (The Valley of the Christians), which is near the front lines between Ba’athist forces and Islamist’s like Jabhat al-Nusra. The Rûm, which haven’t fled the country, live in constant fear, and day to day life is extremely difficult as traveling from one village to another is dangerous due to rebel sniper fire. In 2014, the Rûm cities of Mhardeh and al Suqaylabiyah were besieged by al-Nusra militants. Left with no electricity, little food and water, many Rûm have become depend on humanitarian assistance in order to survive. Many believe that if Islamists take control of Wadi-al Nasara, they will suffer persecutions on the same scale as the world has witnessed in Mosul. In order to safe-guard Syria’s indigenous heritage, and protect its ethnoreligious minorities. A Safe-Haven must be created, in the hopes of preventing another humanitarian crisis on the same scale as that which was witnessed in Mosul. We, therefore, ask the International Community to push both the Ba’athist regime and the Syrian Opposition to allow for the creation of a “Safe-Haven” around the greater Wadi-al Nasara region. This Safe-Haven would be created out of portions of three Syrian Districts: Tartus, Homs, and Hama. It would serve to safe guard not only Syria’s Greek Orthodox and Melkite Greek Catholic Christians, but also the country’s Greek-speaking Sunni Muslim Cretans, which also fear the rather of Islamist groups like al-Nusra. The implementation of such a plan would call for an immediate cease-fire between Syrian Arab Army units and Syrian Opposition forces, in and around the agreed Safe-Haven. Both sides would have to agree to remove forces from the designated region, and allow U.N. peacekeeping forces under the control of combined Russian, Greek, Cypriot, and Armenian administration. This zone, called “Seleukeia” would be divided into three spheres of influence. Each centered in a major city/village of the Rûm; Marmarita, Mhardeh, and Homs. Zone One – Based in Marmarita, one of the largest villages within Wadi-al Nasara, would come under Russian influence. Russia is an ideal choice for such a mission due to its common Orthodox Christian faith and its relationship with the Assad government. In order to provide assurances to the United States, and its allies that Russian troops would not be operating in a zone which borders either Ba’athist control territory or Opposition territory. Zone One would be completely encircled by Zones Two and Three to its Western, Northern, and Eastern borders and Lebanon to its South. Thus, easing Western Fears that they may aid Government forces. Zone Two – Based in Mhardeh, but including parts of the Tartus district, would come under the combined influence of Greek and Cypriot command. This zone would be the largest within the Safe Haven and would encircle Zone One on its western border. Greece and Cyprus are ideal choices for such project for two reasons. Both are Greek Orthodox countries with a similar cultural and historical connection with the Safe-Haven’s Rûm population. 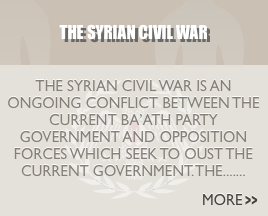 Plus both are U.S. allies that are on good terms with the Syrian Arab Republic. Zone Three – Based in Homs would fall under Armenian influence. Armenia, also a Christian nation with cultural and historical ties to the zone’s Rûm population, is also an ideal choice for another reason. A small portion of Syria’s Christian minority, which has also suffered persecutions since the onset of the war are of Armenian ethnicity. The Safe-Haven would not be a permanent solution, but merely a temporary precaution until the threat of Genocide passes. 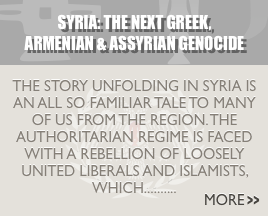 “Seleukeia” would eventually be reintegrated into the Syrian State upon the ending of hostiles. At which time, its residents would be allowed to partake in peace talks on the same level as Ba’athist and Opposition Officials.